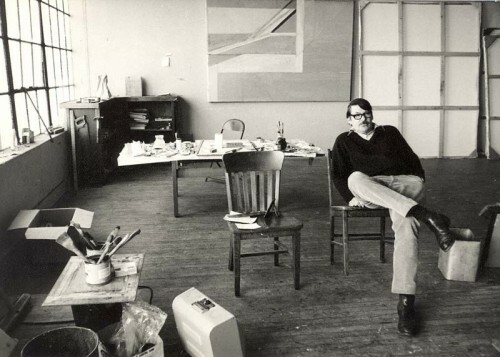 Richard Clifford Diebenkorn Jr. was born on April 22, 1922 in Portland, Oregon. His birth helped to “Keep Portland Weird” as they say. His family moved to San Francisco, California, when he was two years old. He was a wunderkind and was continually drawing from the age of four onward. He worked in hippie-dippie, liberal and idealistic locales ranging from New York City, Woodstock, New York to Albuquerque, New Mexico, Urbana, Illinois and Berkeley, California. Diebenkorn served in the U.S. Marine Corps from 1943 until 1945 but was stationed in Virginia and Hawaii during those years. His “wartime” work was comprised of vaguely humorous, dark charcoal sketches. He used the time he had while stationed to tour important museum collections and to internalize favorite traits and styles of artists such as Hopper, Matisse, and Gorky. 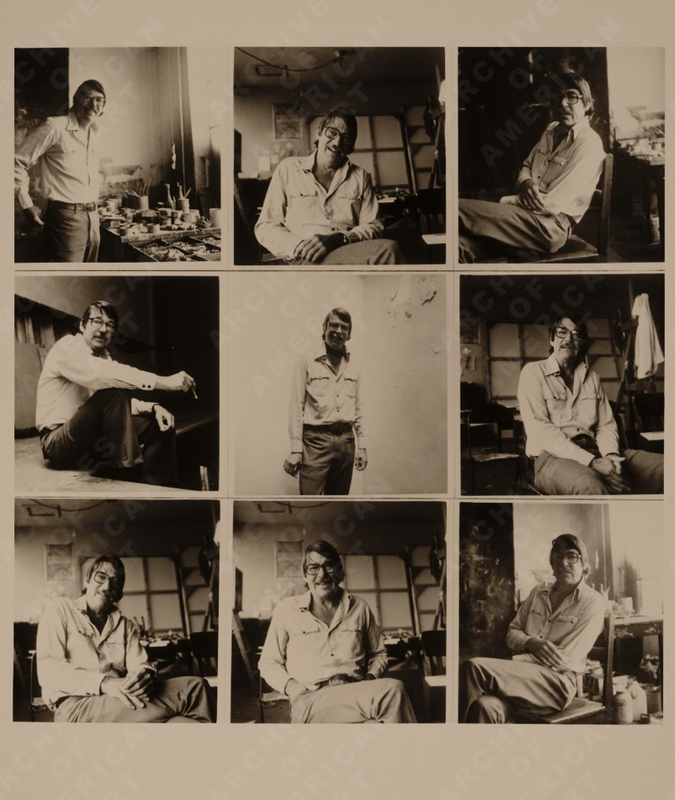 The many emotions, phases and figurative positioning of Richard Diebenkorn via Eye-Likey. Once the war was over, he moved back West and came to define the California school of Abstract Expressionism of the early 1950s. The field of art was only just “invented” in the 1940’s, in New York City and was still a burgeoning field. 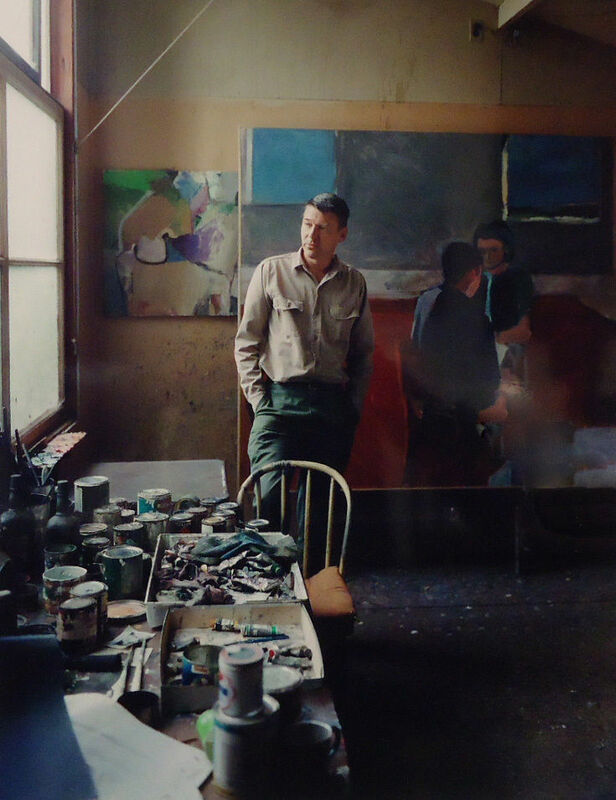 Interestingly, for a modern artist, Diebenkorn embraced art’s academic institution, both as a student and teacher, holding numerous professorships all over the Midwest and West Coast. He even studied under the G.I. Bill. In 2008, when the Obamas first were looking to update the storied White House art collection to include modern art and work by minorities and women, they approached The National Gallery of Art. A large-scale painting by Diebenkorn titled “Berkeley No. 52” was in the mix. 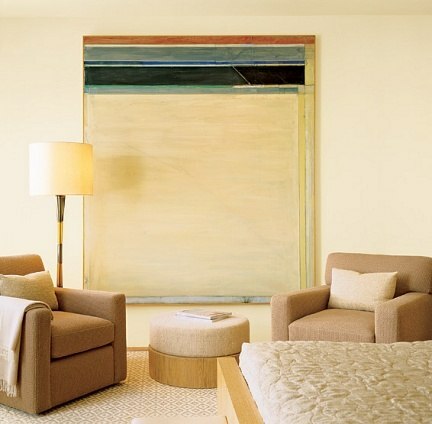 A painting from Richard Diebenkorn’s Ocean Park series is in this neutral master suite. The interior designer, Douglas Durkin reinvented this San Francisco apartment and allowed it to be dictated by the art: “The interior design is about serving the collection.” Image via Architectural Digest. 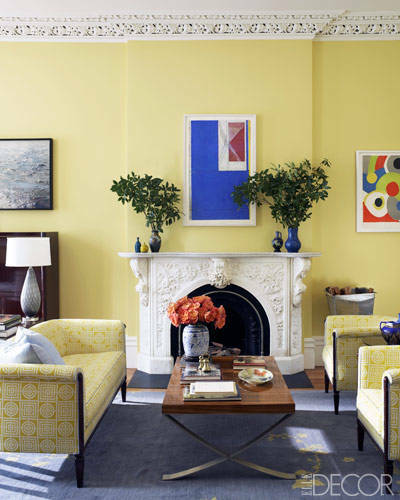 A Victorian townhouse in New York City gets a museum worth update by Sheila Bridges. 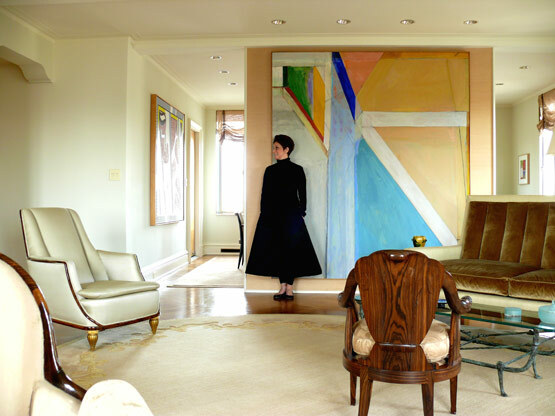 Artwork in the living room includes, from left, a photo by Mark Heithoff and prints by Richard Diebenkorn and Sonia Delaunay; the zebrawood cocktail table has a stainless-steel base.Image via Elle Decor. 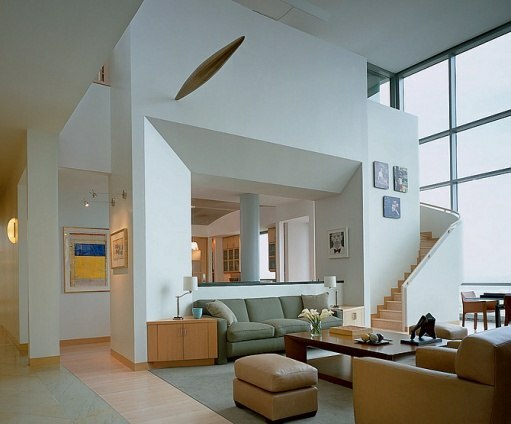 Playing with architectural right angles, this many-rectangled room features an untitled work by Richard Diebenkorn. Photography by Scott Frances. Image via Architectural Digest. 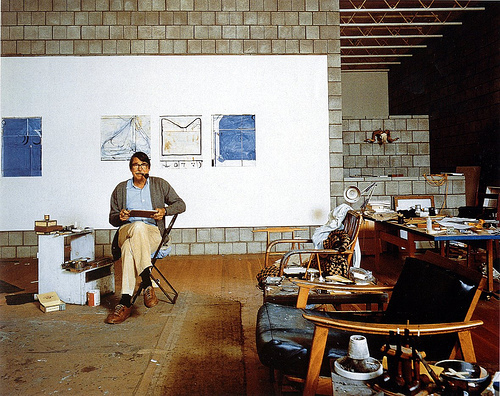 Abstract artist Richard Diebenkorn’s work was an exploration of form, color and poetic metaphor. He combined landscape influence, aerial perspective, and a private, calligraphic language into a dynamic style that engages and excites the viewer. Framed Diebenkorn work “Ocean Park 116”, 1979 via Room & Board. Patsy Tarr in front of ‘Ocean Park Series 23’ by Richard Diebenkorn in the living room. The bronze coffee table is by Alberto Giacometti. I’ll take one of each please! Image via New York Social Diary. Diebenkorn’s compositional strengths gather around distinct, sensually drawn lines. Many of his series feature overlapping, translucent and scraped colors and paint. A process that is discernible to both artist and viewer. Leaving one to wonder what exactly is underneath each layer. It’s hard to describe the artist’s breadth of work the artist created – they are both muted and bright, mechanical and organic, representational and abstract. Some are small, claustrophobic and intimate, others grid-like and huge, echoing with emotion. Regardless of style, his works are powerful investigations between the interaction of space, landscapes, color and light. All somehow yearning and lonely, hearkening on the confusion of a single atom in a large universe. 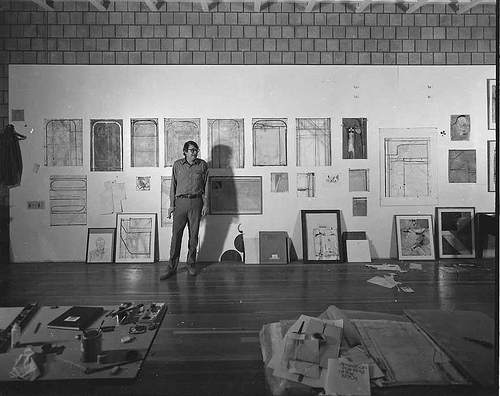 Richard Diebenkorn in his studio at Main Street and Ashland Avenue in Santa Monica, ca. 1970–71. Photo by Richard Grant. 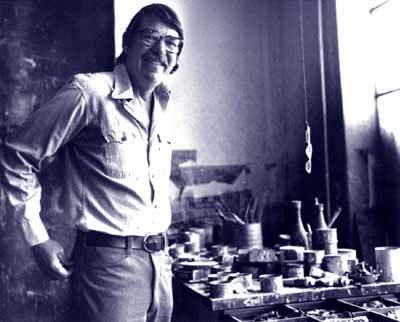 Image from the Richard Diebenkorn Foundation and Richard Grant. Diebenkorn c. 1980’s via Eye-Likey. Richard Diebenkorn by Fred Lyon, 1958. 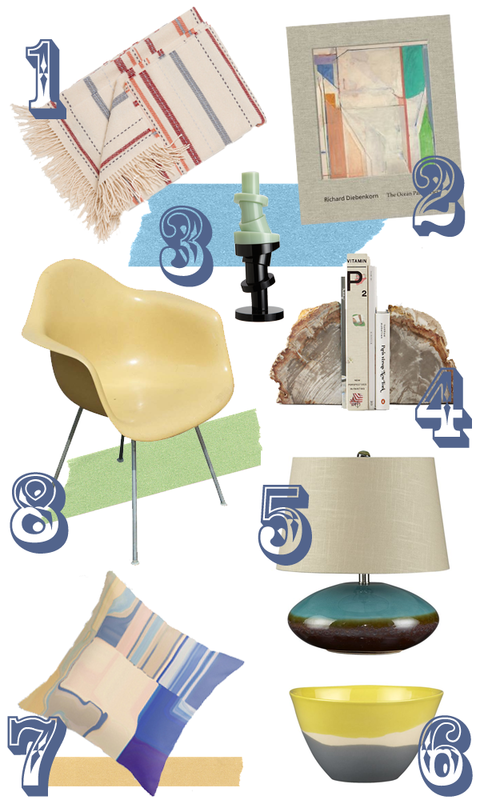 Image via 1stdibs, here. The “Ocean Park” Series Via Lisa Call.